You can have a door or you can have an entrance! Jeld-Wen’s doors are most definitely an entrance. Entry doors make one of the first impressions for guests to your home. That’s why Jeld-Wen aims to impress with their innovative, environmentally conscious, and beautiful doors. Northwest Exteriors has been a distributor of Jeld-Wen products since 1997. The relationship has only become closer as our clients have looked to Northwest Exteriors to provide the best. Jeld-Wen has an impressive portfolio of entry and interior doors. The choice in materials and hardware ranges from Custom Wood, Custom Fiberglass, Authentic Wood, Steel Glass Panel, and Dutch Operating Mechanisms. You’ll have a choice in Alder, Cherry, Mahogny, Muti-Wood, Oak, and Walnut wood. A multitude of finish’s as well as choices in hardware and glass options guarantees that your vision can become a reality. 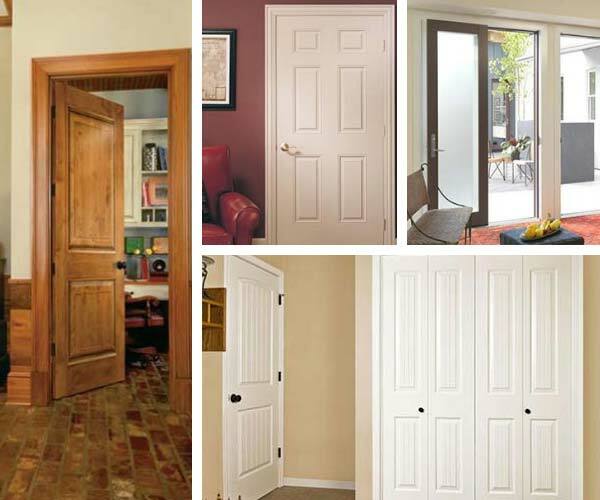 Jeld-Wen doors are some of the most popular doors available on the market. They require little maintenance and their known for their long lasting beauty and reliability. Jeld-Wen offers an array interior doors starting with simple wood to designer wood composites often specified by architects and available in various wood types. One of the newest design trends that Jeld-Wen has pioneered is combining different wood types. For example, combining Mahogany and Maple will create a distinct style and warmth. Similar or contrasting wood grains can also add a uniqueness to your doors. 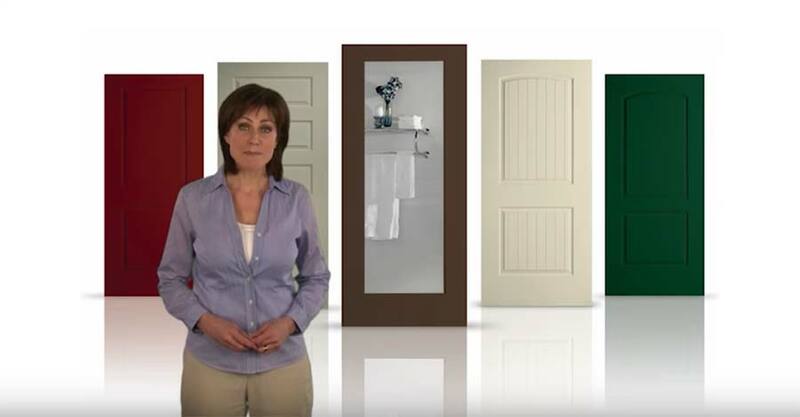 ALL PANEL - All Panel Interior Doors are available in wood or wood composites. They provide ultimate privacy and can include solid cores for sound control. GLASS PANEL - Interior doors are available with a myriad of glass panel sizes, shapes, textures and decorative patterns to provide obscure transparency or full visibility. BIFOLD - Perfect for closets or tight spaces, bifold doors are hinged accordian-style and available in wood or wood composite materials. A “French” door is an option similar to double entry doors. 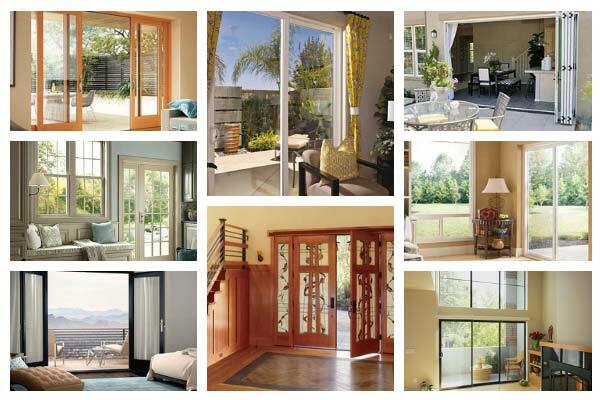 French doors provide a sense of elegance that feels “old world” and compliments any home décor. French doors are hinged on the side door jams and when closed the door panes meet where a locking mechanism is attached to one of the doors. Jeld-Wen makes smooth operating folding doors including state of the art hardware to insure proper operation and long durability. Jeld-Wen offers an array interior doors starting with simple wood to designer wood composites often specified by architects and available in various wood types. JELD-WEN has embraced the concept of using environmentally friendly building products to create their interior doors. They believe in a common-sense approach to sustainability. 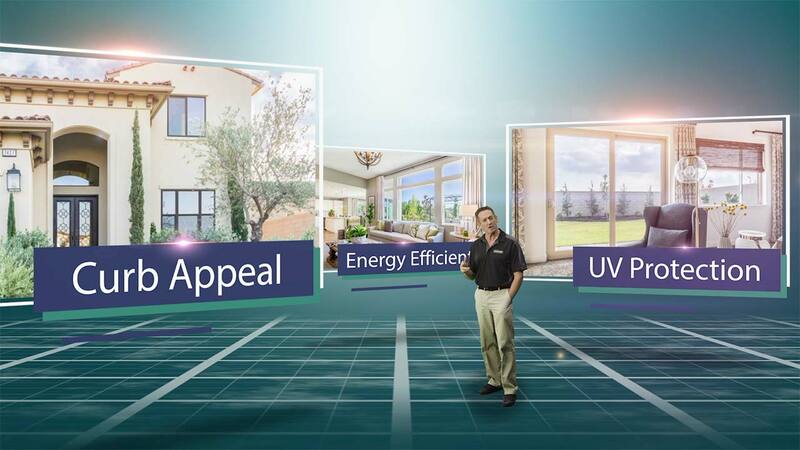 For some, the best choice are products that can help save energy and resources. Other homeowners are more focused on reliable products and they want doors that are guaranteed to last. Still others may opt to use products made with recycled content or from sustainable resources. Jeld-Wen offers many choices and our project managers here at Northwest help guide our customers to make choices to fit their needs and their budget. 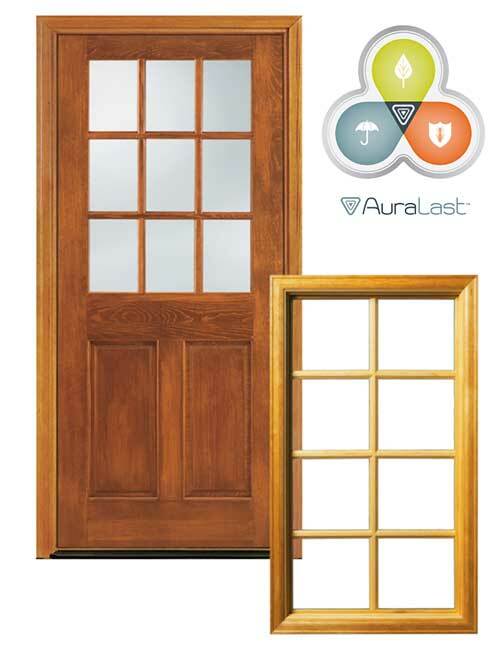 Jeld-Wen’s AuraLast doors are manufactured in such a way as to provide protection against wood rot, water saturation and termites. Jeld-Wen uses a process where the doors are not “dipped” but are instead vacuum pressed. This give you a door with greater saturation of the protective ingredients. The Jeld-Wen manufacturing process reduces emissions of volatile chemicals by 96% and protects the environment. 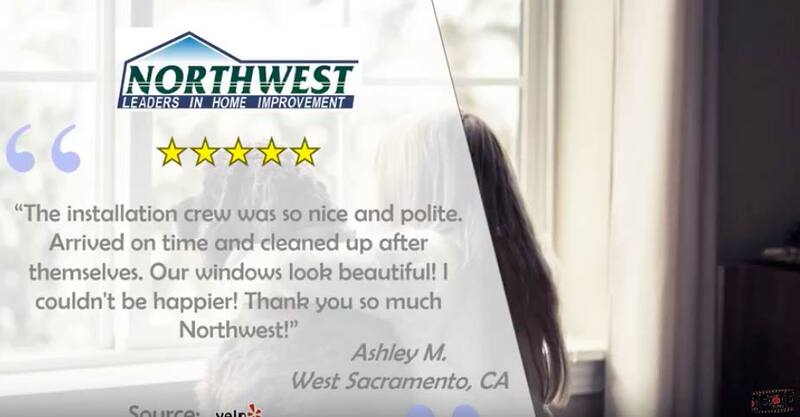 All of these benefits coupled with Northwest Exteriors experienced consultants, installers and award winning customer service makes Jeld-Wen a great choice! Contact us at any one of our locations and set up a FREE Consultation and Estimate Now!